Lenin, Collected Works, Volume 8, pages 101-123. What Is Happening in Russia? This is the question that European journalists and reporters have been asking themselves in connection with the events in St. Petersburg, which they are reporting to the whole world and attempting to evaluate. Are they rebels or insurgents—the tens of thousands of proletarians against whom the tsarist army successfully took the field? And the foreign papers, though sooner in a position to view the events with “detachment”, with the impartiality of chroniclers, find it difficult to answer the question. They are constantly getting their terms mixed. And small wonder. It is not without reason that a revolution is said to be a successful revolt, and a revolt an unsuccessful revolution. People who witness the beginning of great and momentous events, who can obtain only very incomplete, inexact, and third-hand information of what is taking place, will not, of course, hazard a definite opinion until a timelier moment comes. The bourgeois papers, which continue as of old to speak of revolt, rioting, and disturbances, cannot help seeing the truly national, nay, international, significance of these events. Yet it is this significance which invests events with the character of revolution. And those who have been writing of the last days of the rioting find themselves involuntarily referring to them as the first days of the revolution. A turning-point in Russia’s history has been reached. This is not denied even by the most hidebound of European conservatives, however enthusiastic and. sentimental they may wax over the mighty, unrestricted power of the all-Russian autocracy. Peace between the autocracy and the people is unthinkable. Revolution is not only in the mouths of a few fearless souls, not only of “nihilists”—as Europe persists in calling the Russian revolutionaries—but of every person capable of taking any interest in world politics. The Russian working-class movement has risen to a higher level in the last few days. It is developing before our very eyes into a national uprising. Naturally, here in Geneva, so damnably far away, we find it exceedingly difficult to keep pace with events. But so long as we have to linger at such an accursed distance, we must try to keep pace with events, to sum them up, to draw conclusions, to draw from the experience of today’s happenings lessons that will be useful tomorrow, in another place, where today “the people are still mute” and where in the near future, in some form or other, a revolutionary conflagration will break out. We must make it the constant job of publicists to write the history of the present day, and to try to write it in such a way that our chronicles will give the greatest possible help to the direct participants in the movement and to the heroic proletarians there, on the scene of action—to write it in such a way as to promote the spread of the movement, the conscious selection of the means, ways, and methods of struggle that, with the least expenditure of effort, will yield the most substantial and permanent results. Inthe history of revolutions there come to light contradictions that have ripened for decades and centuries. Life becomes unusually eventful. The masses, which have always stood in the shade and have therefore often been ignored and even despised by superficial observers, enter the political arena as active combatants. These masses are learning in practice, and before the eyes. of the world are taking their first tentative steps, feeling their way, defining their objectives, testing themselves and the theories of all their ideologists. These masses are making heroic efforts to rise to the occasion and cope with the gigantic tasks of world significance imposed upon them by history; and however great individual defeats may be, however shattering to us the rivers of blood and the thousands of victims, nothing will ever compare in importance with this direct training that the masses and the classes receive in the course of the revolutionary struggle itself. The history of this struggle is measured in days. And for good reason some foreign news papers have already started a “diary of the Russian revolution”. Let us, too, start one. That Father Gapon is an agent-provocateur is a surmise that would seem to be borne out by the fact that he is a member and one of the ringleaders of the Zubatov society. Furthermore, the foreign newspapers, like our own correspondents, note the fact that the police deliberately allowed the strike movement to spread as widely and freely as possible, and that the government generally (and Grand Duke Vladimir in particular) wanted to provoke bloody reprisals under conditions most favourable to itself. The English correspondents even point out that the energetic participation of the Zubatovists in the movement could only have been of especial advantage to the government under the circumstances. The revolutionary intelligentsia and the class-conscious proletarians, who would have been the most likely to provide themselves with arms, were bound to keep aloof from the Zubatov movement, to give it a wide berth. The government thus had its hands free to play a winning game. The demonstration, so they reckoned, would be made up of the most peaceful, least organised, and most back ward workers; it would be child’s play for our soldiery to handle them, and the proletariat would be taught a whole some lesson; an excellent excuse would be furnished for shooting down anybody and everybody in the streets; at Court the victory of the reactionary (or Grand Ducal) party over the liberals would be complete; the harshest repressions would follow. Both the English and the conservative German newspapers directly ascribe such a plan of action to the government (or to Vladimir). It is most likely true. The events of the bloody Ninth of January confirm this only too well. But the existence of such a plan by no means rules out the possibility that Father Gapon was an unconscious instrument of this plan. That there is a liberal, reformative movement among certain sections of the young Russian clergy cannot be doubted; this movement has found its spokesmen both at meetings of the religio-philosophic society and in church publications. It has even been given a name of its own— the “New-Orthodox” movement. We cannot, therefore, flatly dismiss the idea that Father Gapon may be a sincere Christian Socialist and that it was Bloody Sunday which converted him to the truly revolutionary path. We are inclined to support this idea, especially since Gapon’s letters written after the massacre of January 9 declaring that “we have no tsar”, his call to fight for freedom, etc., are facts that speak for his honesty and sincerity; for it could not possibly be part of the duties of an agent-provocateur to agitate so powerfully for the continuation of the uprising. However that may be, the policy of the Social-Democrats in regard to this new leader was self-evident: to maintain a careful, guarded, sceptical attitude towards this Zubatovist; in any case, to participate vigorously in the initiated strike movement (even though it was initiated by a Zubatovist); to popularise energetically the Social-Democratic views and slogans. As appears from the letters printed above, these have been the tactics followed by our comrades on the St. Petersburg Committee of the R.S.D.L.P. “Cunning” as the plans of the reactionary Court clique may have been, the realities of the class struggle and of the political protest of the proletarians acting as the vanguard of the whole people have proved infinitely more so. That the plans of the police and the military have worked against the government, that out of the Zubatov movement, which served as a minor cause, there has emerged a great and extensive revolutionary movement embracing all Russia, is an established fact. Despite all police snares and stratagems, the revolutionary energy and the revolutionary instinct of the working class have asserted themselves with irresistible force. 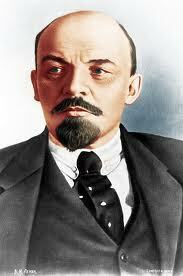 The letters mentioned by Lenin came from a Bolshevik in St. Petersburg and were published in Vperyod, No. 4, January 31 (18), 1905, under the heading “Letters of St. Petersburg Social-Democrats”. It seems strange, at first glance, to refer to the peaceful march of unarmed workers to present a petition as a battle. It was a massacre. But the government had looked forward to a battle, and it doubtlessly acted according to a well-laid plan. It considered the defence of St. Petersburg and of the Winter Palace from the military standpoint. It took all necessary military measures. It removed all the civil authorities, and placed the capital with its million and a half population under the complete control of the generals (headed by Grand Duke Vladimir), who were thirsting for the blood of the people. The government deliberately drove the proletariat to revolt, provoked it, by the massacre of unarmed people, to erect barricades, in order to drown the uprising in a sea of blood. The proletariat will learn from these military lessons afforded by the government. For one thing, it will learn the art of civil war, now that it has started the revolution. Revolution is war. Of all the wars known in his tory it is the only lawful, rightful, just, and truly great war. This war is not waged in the selfish interests of a handful of rulers and exploiters, like any and all other wars, but in the interests of the masses of the people against the tyrants, in the interests of the toiling and exploited millions upon millions against despotism and violence. All detached observers now are of one accord in admitting that in Russia this war has been declared and begun. The proletariat will rise again in still greater masses. What is left of the childish faith in the tsar will now vanish as quickly as the St. Petersburg workers changed from petitioning to barricade fighting. The workers everywhere will arm. What matters it that the police will keep a tenfold greater watch over the arsenals and arms stores and shops? No stringencies, no prohibitions will stop the masses in the cities, once they have come to realise that without arms they can always be shot down by the government on the slightest pretext. Everyone will try his hardest to get him self a gun or at least a revolver, to conceal his fire-arms from the police and be ready to repel any attack of the blood thirsty servitors of tsarism. Every beginning is difficult, as the saying goes. It was very difficult for the workers to go over to the armed combat.The government has now forced them to it. The first and most difficult step has been taken. An English correspondent reports a typical conversation among workers in a Moscow street. A group of workers was openly discussing the lessons of the day. “Hatchets?” said one. “No, you can’t do anything with a hatchet against a sabre. You can’t get at him with a hatchet any more than you can with a knife. No, what we need is revolvers, revolvers at the very least, and better still, guns.” Such conversations can be heard now all over Russia. And these conversations after “Vladimir’s Day” in St. Petersburg will not remain mere talk. The military plan of the tsar’s uncle, Vladimir, who directed the massacre, was to keep the people from the suburbs, the workers’ suburbs, away from the centre of the city. No pains were spared to make the soldiers believe that the workers wanted to demolish the Winter Palace (by means of icons, crosses, and petitions!) and kill the tsar. The strategic task was simply to guard the bridges and the main streets leading to the Palace Square. And the principal scenes of “military operations” were the squares near the bridges (the Troitsky, Samsonievsky, Nikolayevsky, and Palace bridges), as well as the streets leading from the working-class districts to the centre (the Narvskaya Zastava, Schlüsselburg Highway, and Nevsky Prospekt), and, lastly, the Palace Square itself, to which thousands upon thousands of workers penetrated in spite of the massed troops and the resistance they met with. Military operations were, of course, rendered much easier by the fact that everybody knew perfectly well where the workers were going, that there was but one rallying point and one. objective. The valiant generals attacked “successfully” an enemy who had come unarmed and made his destination and purpose known in advance...: It was a dastardly, cold-blooded massacre of defenceless and peaceful people. For a long time to come new the masses will think over and re live in memory and in story all that took place. The sole and inevitable conclusion drawn from these reflections, from the assimilation of “Vladimir’s lesson” in the minds of the masses, will be à la guerre comme à la guerre. The working-class masses, and, following their lead, the masses of the rural poor, will realise that they are combatants in a war, and then ... then the next battles of our civil war will be fought according to plan, but no longer according to the “plan” of grand dukes and the tsars. The call “To arms!” which sounded among a crowd of workers in Nevsky Prospekt on January 9 cannot die away now without reverberation. The plan of the St. Petersburg battle was described by us in Vperyod, No. 4. The English newspapers now give us some details of this plan which are not without interest. The Grand Duke Vladimir appointed General Prince Vasilchikov Commander of the Army in the Field. The entire capital was split up into areas among the officers.The tsar played at war quite seriously, as though confronted by the invasion of an armed foe. During the military operations the General Staff sat round a green-topped table on Vasilyevsky Island, receiving reports from every area commander at half-hour intervals. For the information of the St. Petersburg workers. In reviewing the events of Bloody Sunday one is struck by the combination of naive patriarchal faith in the tsar and the fierce armed street fighting against the tsarist rule. The first day of the Russian revolution brought the old Russia and the new face to face with startling force and showed the death agony of the peasants’ age-old faith in “Our Father the Tsar”, and the birth of a revolutionary people, the urban proletariat. No wonder the European bourgeois newspapers say that Russia of January 10 is no longer the Russia of January 8. No wonder the cited German Social—Democratic newspaper recalls how seventy years ago the working-class movement started in England, how in 1834 the English workers held street demonstrations to protest against the banning of the trade unions, how in 1838 they drew up the “People’s Charter” at monster meetings near Manchester, and how Parson Stephens proclaimed “the right, of every man that breathes God’s free air and treads upon God’s free earth to have his home and hearth.” And the same parson called on the assembled workers to take up arms. This is not Father Georgi Gapon speaking. This is the voice of those thousands upon thousands, of those millions upon millions of Russian workers and peasants who until now could believe naively and blindly in the Tsar Father and seek alleviation of their unbearable lot from Our Father the Tsar “himself”, who put the blame for all the atrocities and outrages, the tyranny and plunder, only on the officials that were deceiving the tsar. Generation after generation of downtrodden, half-civilised, rustic existence cut off from the world tended to strengthen this faith. Every month of life of the new, urban, industrial, literate Russia has been undermining and destroying this faith. The past decade of the working-class movement has produced thousands of advanced proletarian Social-Democrats who have consciously broken with this faith. It has educated scores of thousands of workers in whom the class instinct, strengthened in the strike movement and fostered by political agitation, has shattered this faith to its foundations. Behind these scores of thousands, however, stood hundreds of thousands, millions, of toiling and exploited people, proletarians and semi-proletarians, suffering every insult and indignity, in whom this faith could still survive. They were not ready for revolt, they could only beg and plead. Their feelings and their mood, their level of knowledge and political experience were expressed by Father Georgi Gapon; herein lies the historic significance of the role played at the beginning of the Russian revolution by a man who, but yesterday unknown, has today become the hero of the hour in St. Petersburg and, as a result, in the entire European press. It is clear now why the St. Petersburg Social-Democrats, whose letters we quoted above, at first treated Gapon, as they could not help doing, with distrust. A man who wore the cassock, who believed in God and acted under the august patronage of Zubatov and the secret police, could not but arouse suspicion. Whether he was sincere or not in rending his cassock and cursing the fact that he belonged to that vile social-estate, the priesthood, which robs and demoralises the people, no one could say with certainty, beyond those who knew him well personally, that is, a mere handful. Only the course of historical events could decide this, only facts, facts, facts. And the facts decided in Gapon’s favour. Will Social-Democracy be able to gain the lead of this spontaneous movement? our St. Petersburg comrades asked themselves with concern, seeing the swift irresistible growth of the general strike, which is involving unusually broad strata of the proletariat, seeing the magnetism of Gapon’s influence on the “backward” masses who were so ignorant that they could be swept off their feet even by an agent-provocateur. And the Social-Democrats not only did not encourage any naive illusions with regard to the possibility of peaceful petitioning but, on the contrary, opposed Gapon in argument, openly and firmly defending all their views and their tactical line. History, which the working-class masses were making without Social-Democracy, has confirmed the correctness of these views and the tactical line. The logic of the proletariat’s class position proved stronger than Gapon’s mistakes, naïvetés, and illusions. Grand Duke Vladimir, acting on behalf of the tsar and invested with all the power of the tsar, undertook by his executioner’s exploit to demonstrate to the working-class masses the very thing that the Social-Democrats have always demonstrated and will continue to demonstrate to them through the printed and spoken word. The masses of workers and peasants who still retained a vestige of faith in the tsar were not ready for insurrection, we said. After January 9 we have the right to say that now they are ready for insurrection and will rise. By his massacre of unarmed workers “Our Father the Tsar” himself has driven them to the barricades and given them their first lessons in barricade fighting. The lessons of “Our Father the Tsar” will not be lost. It remains for the Social-Democrats to see to it that the news of the bloody days in St. Petersburg is spread as far and as wide as possible; to rally and organise their forces still better and popularise still more energetically the slogan they have long since advanced: general armed uprising of the people. The reference is to the newspaper Vorwärts, central organ of the German Social-Democrats, mentioned in Vperyod, No. 4, January 31 (18), 1905, in the article “On Palace Square: Letter of an Eyewitness”. The fire was sparked off by a quite ordinary clash between labour and capital—a strike at a factory. It is interesting to note, however, that this strike of twelve thousand Putilov workers, which broke out on Monday, January 3, was before everything a strike in the name of proletarian solidarity. It was caused by the dismissal of four workers. “When the demand for their reinstatement was turned down,” writes a comrade from St. Petersburg on January 7, “the factory struck work immediately to a man. The strike is fully disciplined. The workers put several men to protect the machines and other property against possible damage by the less class-conscious workers. They then sent a delegation to other factories to communicate to them their demands and to ask them to join the strike.” Many thousands of workers began to join the movement. The legal Zubatov workers’ society, sponsored by the government in order to demoralise the proletariat by systematic monarchist propaganda, rendered no little service in organising the movement in its early stages and in extending it. What happened was something that the Social-Democrats had long pointed out to the Zubatovists, namely, that the revolutionary instinct of the working class and the spirit of solidarity would prevail over all petty police ruses. The most backward workers would be drawn into the movement by the Zubatovists, and then the tsarist government would itself take care to drive the workers farther; capitalist exploitation itself would turn them away from the peaceable and out-and-out hypocritical Zubatov fold towards revolutionary Social-Democracy. The practice of proletarian life and proletarian struggle would prove superior to all the “theories” and all the vain efforts of the Zubatov gentry. And that is what has happened. One comrade, a worker and member of the St. Petersburg Committee of the Russian Social-Democratic Labour Party, gives his impressions as follows in a letter addressed to us under date of January 5. “I am writing under the fresh impression of a meeting of workers of the Semyannikov Shipyard just held at the Nevskaya Zastava. But first, a word about the feeling among the St. Petersburg workers. As you know, ’Zubatov’ organisations have lately begun to crop up here, or rather are being revived under the leadership of the priest Gapon. These organisations have grown considerably in number and strength in a very short time. There are now 11 branches of the so-called Russian Factory Workers’ Assembly. As was to be expected, the results of these meetings were inevitably the same as in the South. “We can now say with certainty that a sweeping strike movement is starting in St. Petersburg. Almost every day you hear of a new strike at one or another factory. The Putilov Works has been on strike now for two days. About a fortnight ago the Schau Cotton Mills in the Vyborg Quarter went on strike. The strike lasted about four days. The workers lost it. The strike may break out anew any day. A fighting spirit prevails everywhere, but it could hardly be said to be in favour of the Social-Democratic line. Most of the workers stand for a purely economic struggle and against a political one. However, we may expect and hope that this feeling will change and the workers will realise that with out a political struggle they can achieve no economic improvements. Today the Nevsky Shipyard (Semyannikov’s) went on strike. The local branch of the Russian Factory Workers’ Assembly is trying to lead the strike, but it will not succeed, of course. The Social-Democrats will be the leaders, notwithstanding the fact that they are woefully weak here. Comparing this information of a Social-Democrat, a local committee-man (who could only know, of course, what was happening in a small area in St. Petersburg), with the foreign press reports, especially the English, we are led to the conclusion that the latter are distinguished by a high degree of accuracy. The strike spread from day to day with amazing speed. The workers held numerous meetings and drew up a “charter” of their own—their economic and political demands. Both these demands, despite the Zubatovist leadership, coincided on the whole with the demands of the Social-Democratic Party programme, including the slogan for the convocation of a Constituent Assembly on the basis of universal, direct, and equal suffrage by secret ballot. The spontaneous growth of this strike, unexampled in point of magnitude, was far, far in advance of the planned participation in the movement on the part of the organised Social-Democrats. But let them speak for them selves. In our account of the movement’s progress we stopped at the point at which, on the initiative of Gapon, the procession of the working-class masses to the Winter Palace to present a “petition” to the tsar for convening a Constituent Assembly was set for Sunday, January 9. By Saturday, the 8th, the strike in St. Petersburg had become a general strike. Even official reports placed the number of strikers at 100-150 thousand. Russia had never yet witnessed such a gigantic outbreak of the class struggle. The whole industrial, business, and public life of the great centre with its population of one and a half million was paralysed. The proletariat showed by deeds that modern civilisation owes its existence to it and to it alone, that its labour creates wealth and luxury and that upon it rests our whole “culture”. The city found itself without newspapers, without lighting, and without water. And the general strike bore a clearly defined political character; it was a direct prelude to the revolutionary events. “Beginning with January 7 the strike in St. Petersburg became a general strike. Not only all the big factories and mills, but many workshops came to a standstill. Today, January 8, not a single newspaper, except for Praviteistvenny Vestnik and Vedomosti S. Peterburgskovo Gradonachalstva, has appeared. The leadership of the movement is still in the hands of the Zubatovists. We are witnessing an unprecedented scene in St. Petersburg, and the suspense makes one’s heart contract with fear as to whether the Social-Democratic organisation will be able to take the movement into its own hands, at least after a while. The situation is extremely grave. Throughout these past days mass meetings of workers are daily taking place in all city districts at the headquarters of the ’Association of Russian Workers’. The surrounding streets are filled with thousands of workers. From time to time the Social-Democrats make speeches and distribute leaflets. They are received on the whole sympathetically, although the Zubatovists try to set up an opposition. When the autocracy is mentioned, the Zubatov people shout: ’We don’t care about that, the autocracy doesn’t stand in our way!’ On the other hand, the speeches which the Zubatovists make at the ’Association’ headquarters contain all the Social-Democratic demands, beginning with the eight-hour day and ending with the convocation of a Constituent Assembly on the basis of equal and direct suffrage by secret ballot. Only the Zubatovists assert that the granting of these demands implies, not the overthrow of the autocracy, but the bringing of the people closer to the tsar and the elimination of the bureaucracy, which stands between the tsar and the people. “The Social-Democrats address meetings, too, in the headquarters of the Association, and their speeches are listened to sympathetically; but the initiative in practical proposals comes from the Zubatovists. Despite the objections of the Social-Democrats, these proposals are adopted. They boil down to the following: on Sunday, January 9, the workers are to go to the Winter Palace and, through the priest Georgi Gapon, hand the tsar a petition listing all the demands of the workers and ending with the words, ’Give us all this or we must die’. Those who direct the meetings add: ’If the tsar refuses, then our hands will be untied; for it means that he is our enemy, and then we will come out against him and unfurl the red banner. If our blood is shed, it will be upon his head.’ The petition is being adopted everywhere. The workers swear that they will come out into the square on Sunday ’with their wives and children’. Today the petition is going to be signed by districts, and at 2 o’clock all are to assemble at the ’People’s House’ for the final meeting. “All this is taking place with the full connivance of the police, who have been everywhere withdrawn, although some buildings have mounted gendarmes hidden in the yards. St. Petersburg City Administration News.—Ed. Praviteistoenny Vestnik (Government Herald)—a newspaper, official organ of the tsarist government; published in St. Petersburg between 1869 and 1917. Reports as to the number of killed or wounded differ. Naturally, there can be no question of an exact count, and a visual estimate is very difficult. The government’s re port giving 96 killed and 330 wounded is obviously false, and no one believes it. According to the latest press reports, journalists handed the Minister of the Interior a list of 4,600 killed or wounded, as compiled by reporters. Of course, even this figure cannot be complete, since it would be impossible even in the day-time (let alone at night) to count all the killed and wounded in the various clashes. The victory of the autocracy over the unarmed people took a toll no smaller than did the big battles in Manchuria. No wonder the St. Petersburg workers, according to the reports of foreign correspondents, cried out to the officers that they were more successful at fighting the Russian people than they were the Japanese. The article “The Battles on the Barricades”, devoted to the beginning of the revolution in Russia, was written for Vperyod, No. 4, but was not published. It first appeared in 1934 in Lenin Miscellany XXVI. Correspondents give very few details of the barricade fighting. This is understandable, because they tried to keep more or less at a safe distance from the danger spots. As for the participants in the barricade fighting, probably only very few survived. There is even a report that the barricades were subjected to artillery fire, but it does not seem to have been confirmed.